Patients seeking to restore youth and beauty to their eyes have many cosmetic options to choose from, including eyelid surgery and brow lift. Because the two procedures focus on aging signs in the upper facial area, many patients confuse the two. In this blog post, Newport Beach plastic surgeon Dr. Richard Lee explains what eyelid surgery and brow lift achieve and how to determine which one is best for you. Eyelid surgery can address aging signs on either the upper or lower eyelids, or both. In upper eyelid surgery, puffy or loose skin and excess fatty tissue is removed. The remaining skin is tightened and tissue is repositioned for a more youthful and balanced appearance. Although upper eyelid surgery is commonly sought out for cosmetic purposes, it can also be used for medical reasons. Upper eyelid surgery becomes medically necessary when loose, heavy skin on the upper eyelids hangs so low that it blocks the line of sight. By removing excess skin, eyelid surgery can restore clear vision. 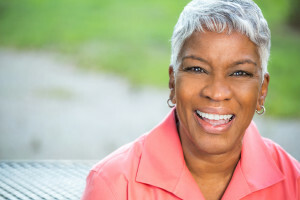 Lower eyelid surgery can treat puffy “bags” under the eyes as well as lines and wrinkles that often create a tired and older-looking appearance. After lower eyelid surgery, patients can expect to look younger and better rested. Brow lift addresses drooping skin, lines and creases on the forehead and eyebrow areas that can cause someone to look older or frustrated. During the procedure, Dr. Lee will remove sagging skin on the forehead and around the eyebrows. The surgeon will also raise, reshape and tighten the remaining skin for a smoother and softer appearance. Do you have loose skin on the upper eyelids that sags? Are your eyebrows in a good position? If the answer is yes to both of these questions, you may need upper eyelid surgery. Do you have loose, drooping skin on the forehead but no excess skin on the upper eyelids? If this is the case, brow lift may be the best option. Do you have loose, sagging skin on both your upper eyelids and eyebrows? If so, combining eyelid surgery and brow lift may be most appropriate. Keep in mind that these are general guidelines. It is impossible to make a final decision on what procedure to undergo before meeting with a board certified plastic surgeon. Dr. Lee has years of experience performing both eyelid surgery and brow lift and has helped hundreds of patients look and feel younger. To schedule a one-on-one consultation with Dr. Lee, please contact Newport Body at (949) 548-9312.